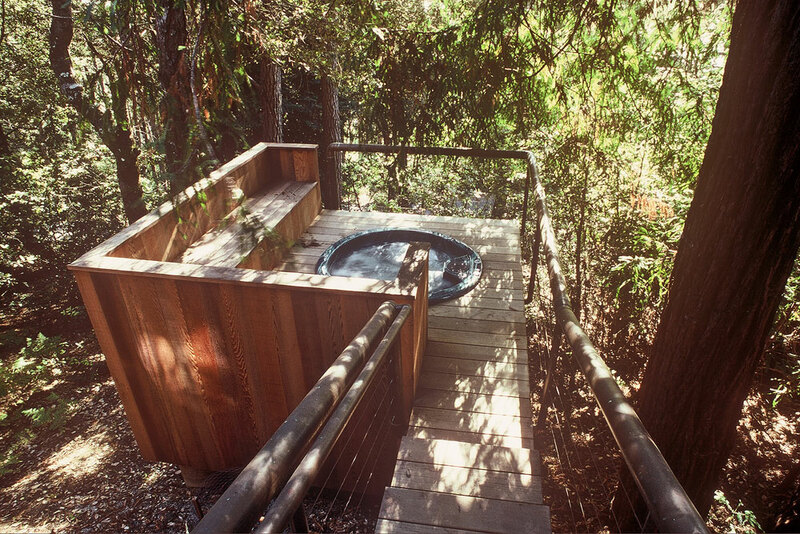 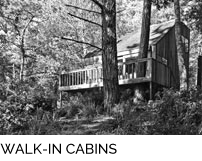 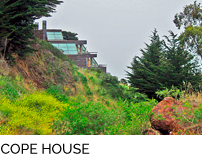 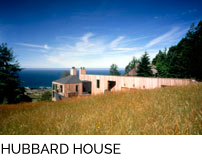 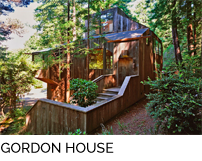 This vacation house is located on a lot forested with pine, tan oak, madrone, redwood and Douglas fir, and with a filtered ocean view to the west. 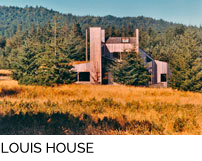 A primary concern was to minimize physical and visual impact on the site and to preserve, even enhance, the sense of connectedness with the forest. 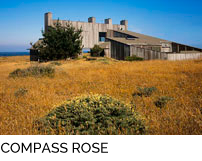 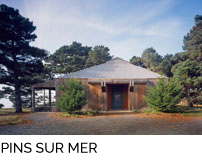 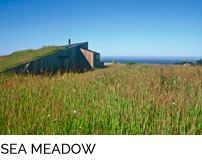 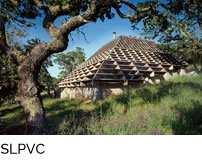 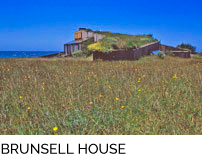 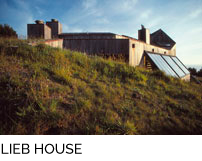 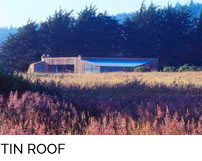 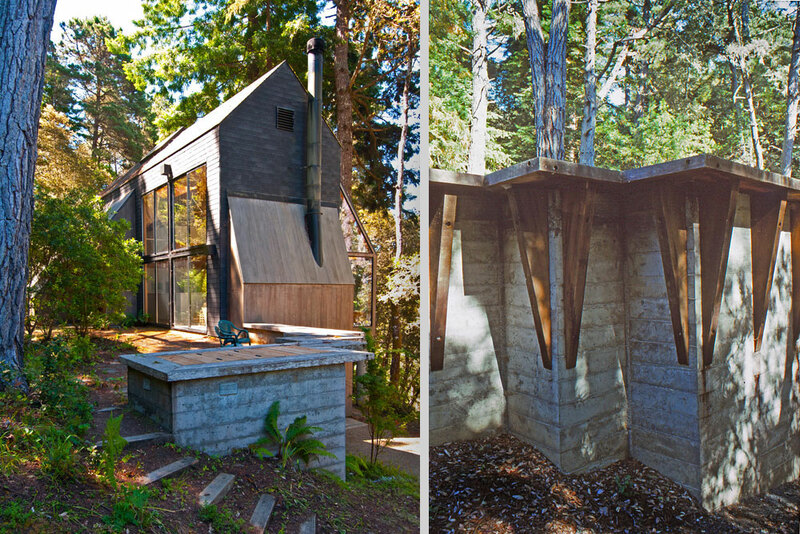 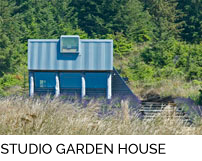 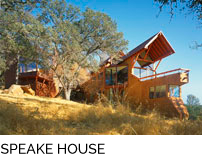 The building is sited in deference to surrounding trees, especially the forest climax species, redwood and Douglas fir. 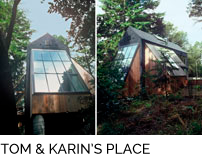 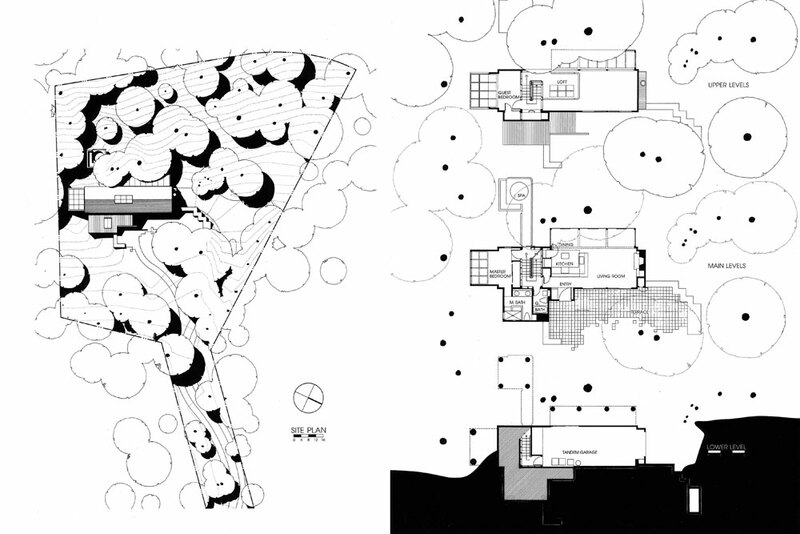 A five level vertically developed plan minimizes the building’s footprint and responds to its place in the trees, providing direct experience of the character changes that occur between forest floor duff and upper canopy. 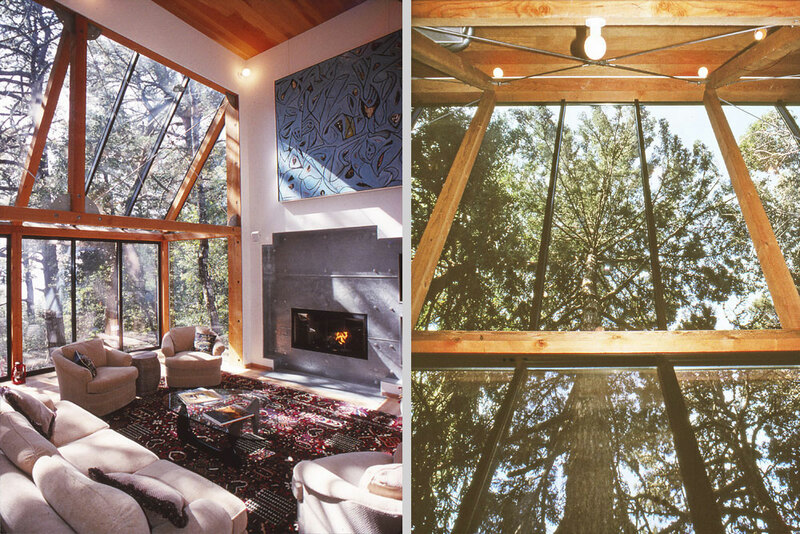 A long, narrow plan with expanses of opposing floor to ceiling glass links the exterior ambiance to the interior and the use of steeply sloped glazing at the living, dining, and bedrooms provides views directly up into the surrounding boughs. 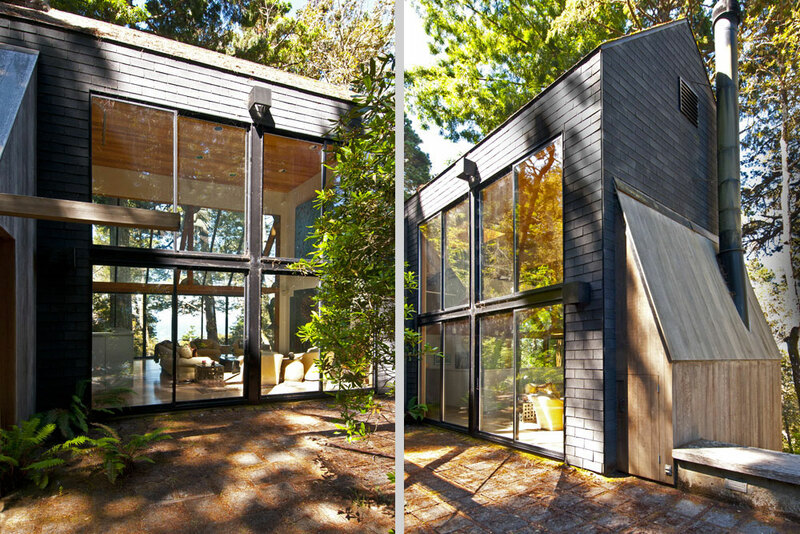 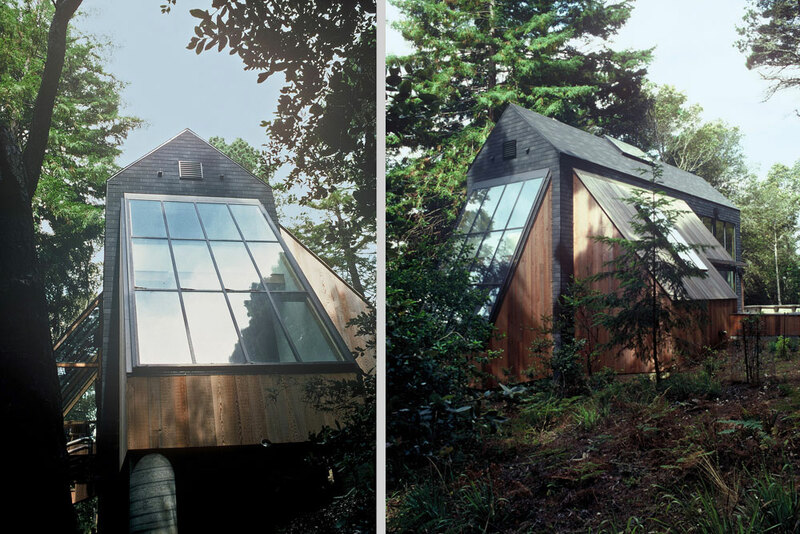 The central building mass is covered with black composition shingles to de-emphasize itself and better frame the light and forest viewed through the narrow building. 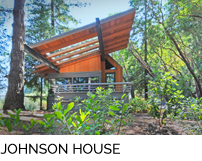 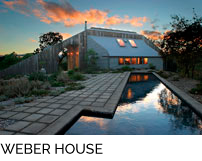 Five contrasting, smaller scaled elements (four lean-tos and a spa deck) are covered entirely with wood and/or glass, and those closest to trees are supported on hand dug concrete piers to minimize root destruction. 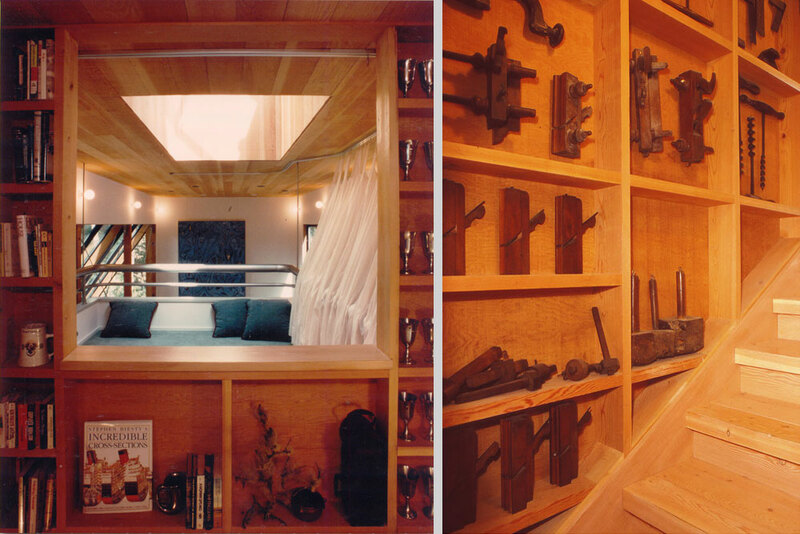 Interior levels interface with a continuous stairway carefully constructed of exposed stud blocking and framing to provide continuous book/display spaces. 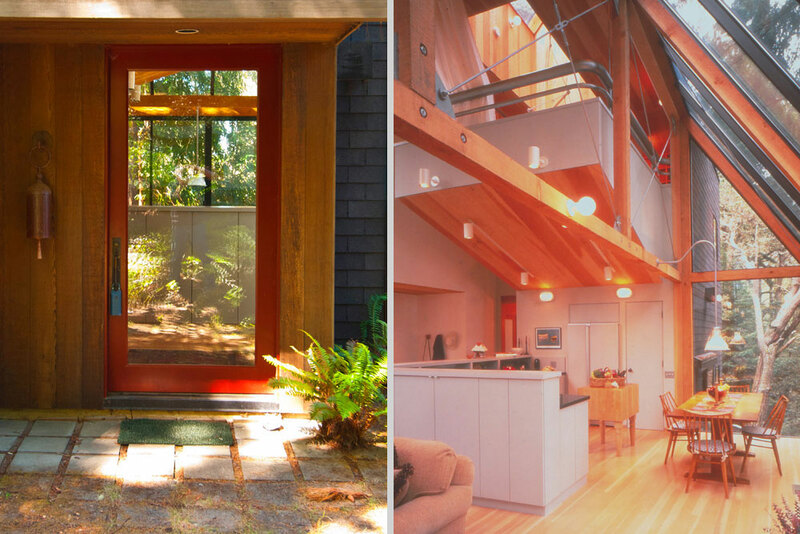 The fifth and highest level is an open loft which cantilevers into the main space where it can either partake of the general activity or obtain a bit of intimacy by pulling closed a fabric curtain. 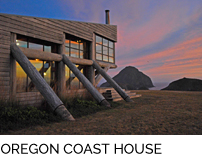 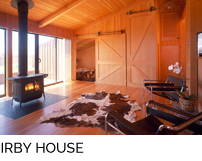 All interior wood is Douglas fir, all wall surfaces are painted gypsum board, and all exposed structural hardware and the fireplace facing are galvanized steel.